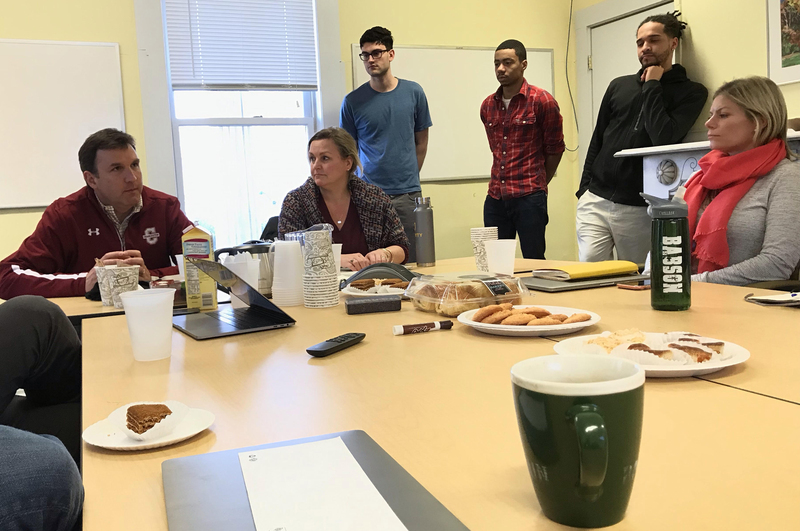 Gravyty was honored to host Chris Tobin, Executive Vice President of Institutional Advancement and Executive Director of The College of Charleston (CofC) Foundation, and Kenton Youngblood, Senior Development Officer for CofC in our office while they were traveling to the Northeast. 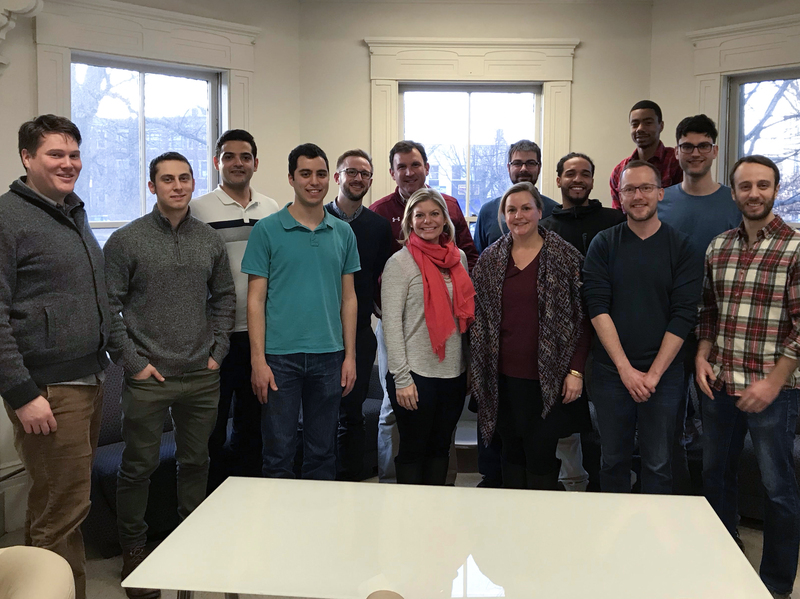 We were extremely grateful for their visit and to see how Chris, as a VP, is taking the initiative to change what a vendor-partnership relationship can look like and define a model that everyone – across industries – should emulate. Chris and Kenton discussed the impact of Gravyty and AI at CofC, such as enabling 15 frontline fundraisers to operate as a fulltime staff of 39 and how our AI-enabled suite of tools has helped the institution qualify more donors – which are all outlined in a recent Gravyty case study. But the two early adopters took the conversation a step further, and we feel it’s something everyone can learn from. With a captive audience, Chris took the time to explain his vision for the future oh Philanthropy, while Kenton highlighted ways Gravyty can improve to elevate her organization’s work. Chris expressed a hope that the profession of advancement will grow beyond how it’s known today – as fulfilling fundraising expectations. His vision builds on the frontline work that he’s doing with CofC – building relationships that align with business objectives and address common pain-points. For example, under Chris’ leadership, CofC is extending a culture of philanthropy across its campus by pairing institutional leaders, such as deans and athletic directors, directly with gift officers. The result of this work is establishing philanthropic relationships between potential donors with specific giving affinities directly with the people who those gifts will impact. This all goes back to what Philanthropy is really about – relationships. “I think the future of AI applications in democratizing the process of stewardship, for example, is helping us extend the reach of Advancment beyond the Advancemet Office. More integrated Advancmenet work on our college campus is an exciting opportunity, and we think Gravyty can help us achieve that goal,” said Boone. Not only are these forward-thinking leaders at College of Charleston at the forefront of using AI technology for amazing results, they’re also taking ownership of redefining how a vendor-customer relationship should work – collaborating on expectations, aligning strategy with technology, continuous feedback, and constantly working on the relationship. 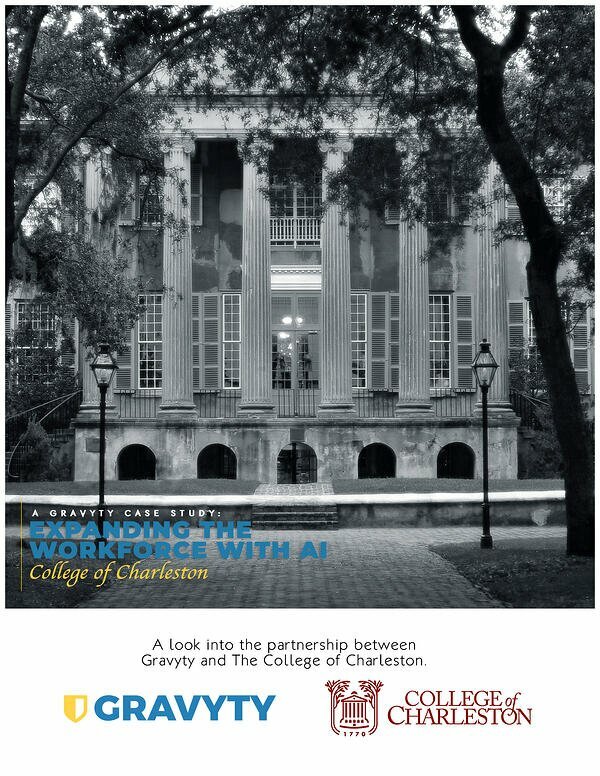 For more information on how The College of Charleston is expanding its workforce, driving fundraiser activity, managing portfolios, establishing a more efficient donor qualification process, and more with AI, read the full case study, available for download here.